Every small measure of support adds up to make a significant difference to these magnificent creatures. Snow leopards are disappearing. Their numbers have fallen by over 20 percent in less than 20 years. With as few as 4,000 left in the wild, and only around 500 in India, this magnificent big cat could soon vanish forever. But with your help – we can still save them. The strikingly beautiful snow leopard occupies the slopes of some of the highest and most rugged mountains in the world. Perfectly adapted to thrive in its rock and snow home where temperatures often plummet upto -40 degrees Celsius below zero, snow leopards are the undisputed monarchs of the high mountains. Biologists consider snow leopards to be the indicator of the health and resilience of the fragile high mountains. The snow leopard is listed as Vulnerable on the IUCN's Red List of Threatened Species and their population is rapidly declining. Only about 4000 snow leopards might be left in the wild and their population is on the decline. Protecting snow leopards means securing the livelihoods of local communities, water security for millions of people and conservation of unique high altitude biodiversity. What’s Making Snow leopards Scarce? Snow leopards have long been killed for their beautiful fur, bones and other body parts - and the illegal trade in snow leopard parts appears to have doubled since the past decade. Almost 1000 snow leopards are believed to be killed in the past decade to feed illegal markets. With a decline in their prey base, snow leopards are being forced to rely on domestic livestock for food, which in turn leads angry herders to sometimes kill snow leopards in retaliation. Both people and snow leopards suffer in such a situation. 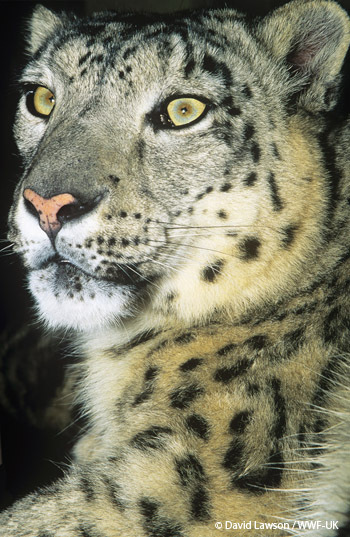 Snow leopards need vast areas to thrive. 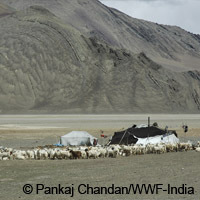 But expanding human and livestock populations are rapidly encroaching on their habitat. New roads and mines are also fragmenting their remaining range and climate change is predicted to result in higher fragmentation and further reduction in the snow leopard range. WWF-India is helping address all these threats. The snow leopard’s elusive nature, combined with the tough conditions of difficult terrain and extreme temperatures, makes it very difficult to study. 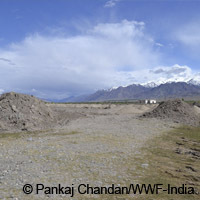 Biologists suggest that over 90% of the almost 1,00,00 km2 of snow leopard range in India is unexplored! WWF-India has been studying this mysterious cat with the help of radio collars, wild prey surveys and special motion-sensitive cameras called camera traps. 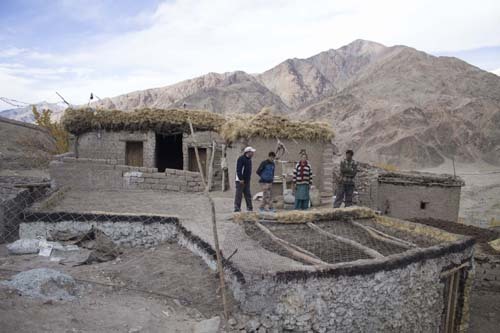 WWF has also been working with communities to minimize the number of retaliatory killings by villagers affected by snow leopard attacks by undertaking the building and installing of snow leopard-proof livestock pens – no snow leopard attacks, no retaliatory killing! Other successful initiatives include livestock insurance schemes, climate change adaptation methods and community-supported grazing-free reserves, among others. How have people like you helped? With funds raised from individual contributions since 2013 we have been able to install Camera Traps at 30 locations so far and it has already started giving results. Snow Leopards have been photographed for the first time in North Sikkim! 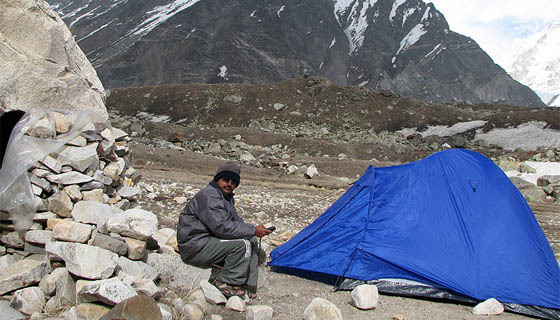 This data along with prey surveys and community interviews is helping WWF-India understand Snow Leopards, their prey, habitat and the various threats they face. 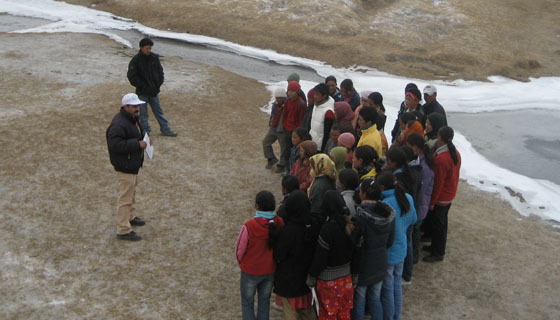 In order to protect the livestock / livelihood of communities and to reduce retaliatory killing of the Snow Leopard, WWF-India has installed 13 Predator Proof Corral Pens positively impacting families living in 13 villages in Ladakh. This is what one community member had to say after seeing the pugmarks of Snow Leopard on top of the installed corral pen. 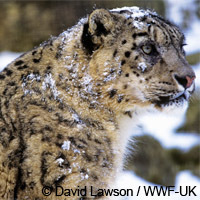 We urgently need funds to support our vital snow leopard work. Every donation can make a difference. Click on the button below to support our work and see how together, we can answer the Snow Leopard SOS. © 2015 WWF-India. All Rights Reserved.